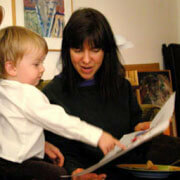 Nora Cohen is the owner of ChildrensBookEditing.com, a children’s book editing web-business. She is a former Senior Editor and Managing Editor of children’s books at G.P. Putnam’s Sons in New York. She has taught children’s book writing courses and is the author of "An Easter Alphabet" (Putnam, under the pseudonym Nora Tarlow) and "From Apple to Zipper" (Simon & Schuster). She can be reached through her website — http://www.childrensbookediting.com — to view her services, fees, and references. She edits all ages of children's books, from picture books to middle grade chapter books to young adult teen novels.